Featuring Marquez, Christie, Wilder, Lovelace, Golding, and Kerr! I used to post all the new-to-me books that I read during a month, making rambly remarks that sort of resembled reviews, but not really. They weren’t so much critiques, but rather, my immediate thoughts after completing a text. I still don’t fancy myself a critic, but because I do like talking about books and sharing my love and appreciation for really good stories (and ranting about the not-so-good ones), I’ve started blogging full reviews for each book. They’re still pretty rambly, but much more in-depth. 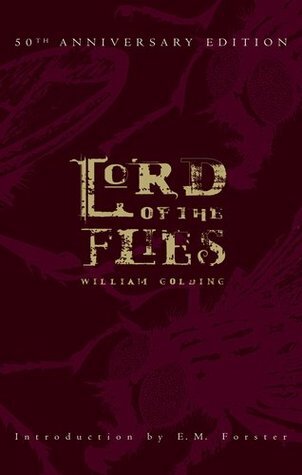 I started with The Grave Robbers of Genghis Khan, but I recently realized there were a few previous books that were never posted here. So without further ado, here are the books I read in between April and July of 2015! 3/5 ✦ – Finished 11 Apr 2015. I FINALLY READ THIS THING. It has been languishing on my shelf for years, a gift that I could never read past the first few pages. This time, I treated it like a school text (used SparkNotes and everything!) and plowed through. Don’t get me wrong: it’s beautifully written and its author is rightfully famous. But that’s the only reason to read it: for its amazing poetic, descriptive prose that draws you in, in spite of yourself, and leaves you unable to stop until the end. Mostly. 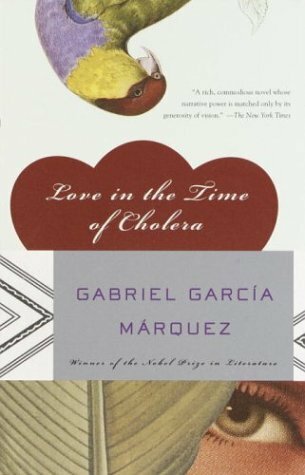 The story is nothing special–almost disturbing, actually, with unrequited “love” and much worse–but it’s my first Marquez novel, and I’m intrigued enough to read his others. 5/5 ✦ – Finished 27 Apr 2015. 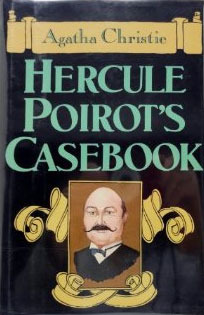 After slogging through Love in the Time of Cholera, I needed something more light and fun to read, and I’d been hackering for some good mysteries, so I turned to good ol’ Agatha Christie. I’d read a number of these stories before in their separate publications, but I still barely remembered the culprit in any of them, so it was fine, and the stories are always worth a reread. The earliest ones were a little weird, as they were very obviously parodies of the Sherlock Holmes stories, and not always well-done. The best ones were sans Hastings (sorry, old bean), and more lengthy and detailed. Despite seemingly going through every trick in the book (heh), Christie never fails to surprise. 3/5 ✦ – Finished 10 May 2015. Read this for a MOOC on Laura Ingalls Wilder. Like most people, I grew up reading the Little House books, and always loved them. Rereading them now (as I have been) has exposed their less than favorable sides (racism, for starters), but they’re just as interesting and compelling, especially the later ones, as when I was little; more so, because I can appreciate their literary significance on a deeper level now (also: Laura + Almanzo = OTP). In the MOOC, I’ve learned a lot about the real history of the books and how much Rose Lane contributed. 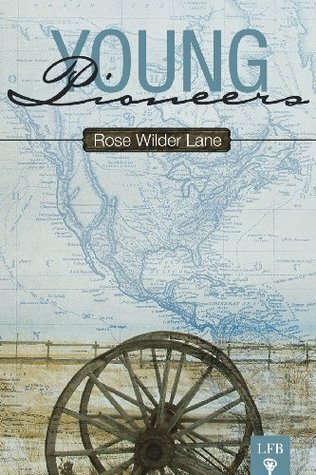 There’s much talk that Lane actually wrote them all herself, but in reading Young Pioneers, it’s kinda obvious that’s not true. While very much a colloboration, there are many letters and other historical documents that show how much Wilder did herself and that the warmth, descriptions, characters, and story was all her. Lane was a brilliant editor and kept the plot tight and structured. Which is why Young Pioneers reads so oddly–and rather boring? There’s lots of telling and no showing (I think dialogue barely makes up a fourth of this book), and reads more like a first draft than a polished publication. Lane’s style seems more suited to her famous nonfiction writing, or I can see it working very well for a contemporary (1930s) novel, not historical romantic fiction. You can tell she’s a good writer, it just seems her interest in this genre was misplaced, and I felt she could’ve done better. 5/5 ✦ – Finished 15 Jun 2015. Never read this Lovelace book before! 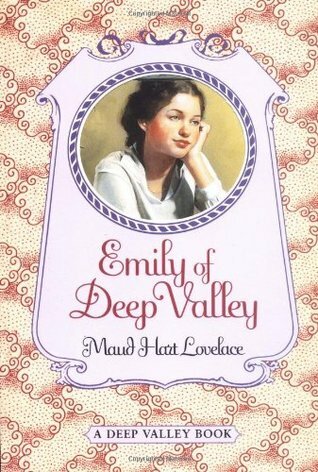 Unlike Betsy/Carney, Emily’s introverted and education-focused. She’s me! Family duties also hampered my social life, but I could still go to college. Emily wants to be part of the crowd, but can’t figure how without sacrificing who she is. That’s the theme: self-discovery. Depressed over always being excluded, she valiantly shakes herself free and focuses on creating her own life. Inspiring! 3/5 ✦ – Finished 28 Jun 2015. If you don’t know it’s an allegory, it’s a weird book. Everything is symbolic. Alone, it’s a story on what bratty boys would do if stranded in the jungle. The plot represents a breakdown in society and characters stand for political views: democracy (Ralph) losing to anarchy/totalitarianism (Jack), intellect (Piggy), and empathy/kindness (Simon) to cruelty (Roger). (Again, I had to use SparkNotes to really understand what the heck was going on.) A pretty good book with an interesting message. 2/5 ✦ – Finished 2 Jul 2015. 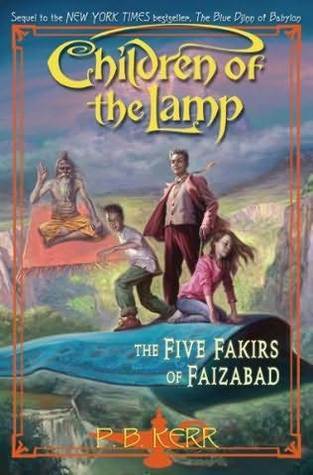 The sixth book in the Children of the Lamp series. I remember why I stopped reading this series. It got boring. There are surprising political overtones that don’t belong in a MG novel, and it was off-putting. But capable writing made it a quick read, the world setting is fascinating, and I would love three wishes from a good djinn. The ending was risky, but I cared little for these characters, so just a shrug and a nod from me.